Food – a fact of life, provides a wealth of free resources about healthy eating, cooking, food and farming for students aged 3 to 16 years. 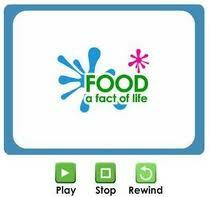 Students can watch videos in order to learn new cooking skills and safe food preparation. There are even 36 interactive activities to explore on your smarboard.